Unsustainable agriculture is killing our biodiversity, with disastrous consequences for our environment, our health and our long-term food security. 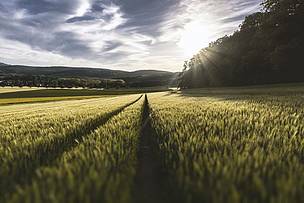 Brussels, 2 April 2019 - MEPs in the Parliament’s Agriculture and Rural Development Committee today took a remarkably conservative stand when voting on the future EU Common Agricultural Policy (CAP). WWF regrets that ComAgri has further weakened the Commission proposal on many aspects, failing dramatically in its self-assigned duty of establishing a robust common framework for Europe’s farming policy. In February, among other measures, the EP Environment Committee had introduced a stronger conditionality and more support for sustainable farming, but these proposals - as well as virtually all ENVI amendments - were voted down today. Overall, in the absence of a strong alliance of more progressive positions in the Agriculture Committee, most of those amendments which could have significantly improved the Commission text were not adopted today. ComAgri MEPs also voted in favour of making it possible to use the newly proposed “eco-schemes” to comply with conditionality, which would make these resemble the ineffective greening payments existing in the current CAP. This loophole would make even the ring-fencing of 20% of CAP Pillar 1 funds for eco-schemes, which was adopted in the vote, potentially meaningless. The European Parliament is expected to pick up its work on the CAP again during the second half of 2019. When taken to Plenary, a clash between the Environment and Agriculture committees of the EP is to be expected. Given their shared competence on this file, the Environment Committee would be entitled to retable its own amendments in Plenary. “We strongly hope that the newly elected European Parliament will use its power to correct the biased vote by the Agriculture Committee today, and instead help shape a new CAP that drives Europe’s transition towards a sustainable food and farming system,” concluded Jabier Ruiz.